Thursday, April 21 will officially be Texas State Night at the Dell Diamond in Round Rock. Dell Diamond is the home of the Round Rock Express, the Texas Rangers Triple-A Minor League affiliate. Alumni will be making their way out to the Dell Diamond along with current students. The Texas State cheerleaders will be out there as well along with Boko. Head Football Coach Everett Withers will also be making an appearance and will be throwing the first pitch. The man behind Texas State Night is an alumnus himself. Steve Richards, the director of ballpark entertainment at the Dell Diamond, had this dream during his time at Texas State and has now made it into a reality. 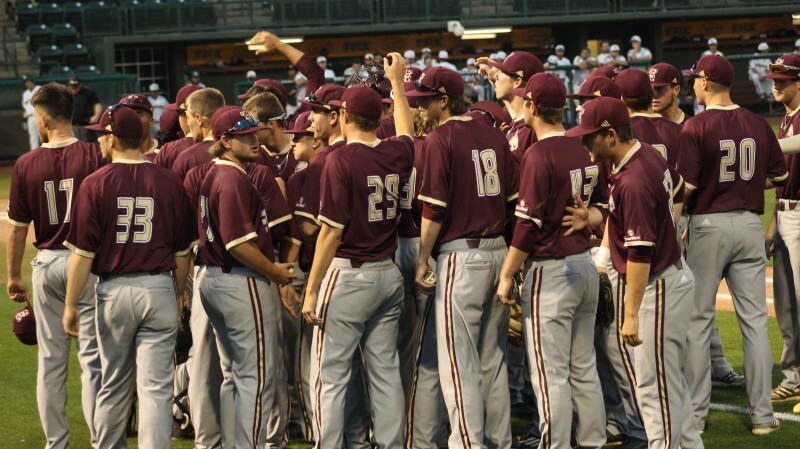 Richards appeared on Bobcat Radio on Wednesday and spoke about how this night came together. Among these special guests will be Texas State’s trombone choir. They will be performing at the Dell Diamond as well. The first pitch for Thursday’s game is set for 7:05 p.m. Coach Withers will take the mound to start the game off.